FINANCIAL PLANNER -- A person whose phone has been disconnected. INSTITUTIONAL INVESTOR -- Past week investor who's now locked up in a nuthouse. LIQUIDITY -- When you look at your investments and wet your pants. I hope you enjoyed this bit of humor. I will post something more substantive later tonight. 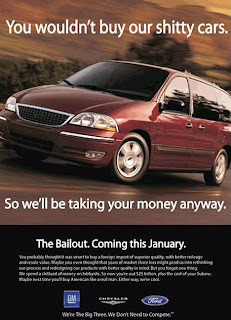 This entry was posted in Bailouts, Humor, Wall_Street_Meltdown. Bookmark the permalink. The one I like most is "Standard and Poor".